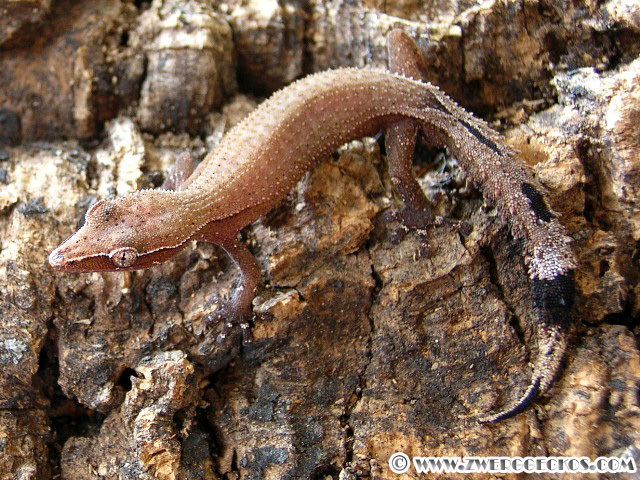 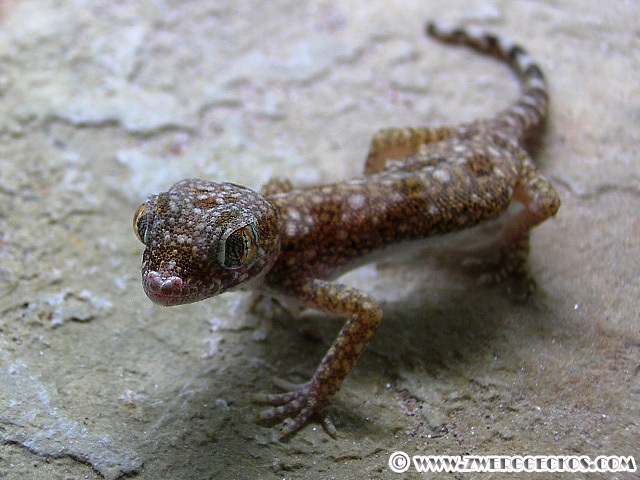 In addition to the other genera presented on this website, there are many other very interesting geckos worldwide, occupying the small size of their ecological niches in nature. 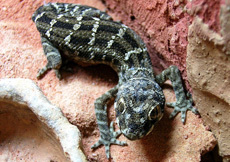 They are not closely related and their dwarfism is caused by convergence. 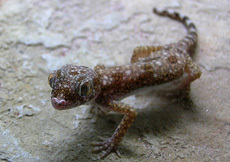 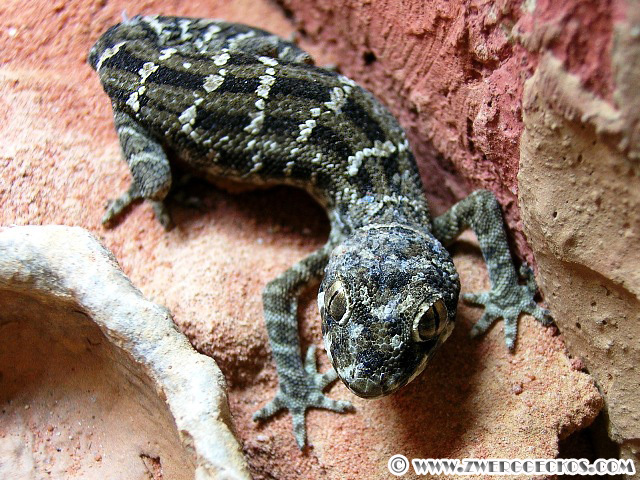 Sometimes these "dwarf geckos" even belong to closely related species of the giants among geckos. 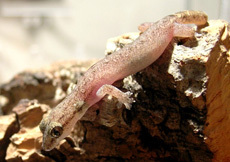 An example is Gehyra fehlmani, which has a total length of 11 centimeters while other species of the same genus (Gehyra vorax, Gehyra marginata) reach a length of 25 centimeters! 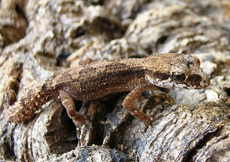 Dwarf geckos inhabit many different habitats, in addition to desert dwellers like the members of the genus Stenodactylus in North Africa / Middle East, dwarf geckos can also inhabit both semi-arid areas (Teratolepis fasciata in Pakistan), as well as humid rain forests (Ebenavia inunguis in Madagascar and Cnemaspis africana in Tanzania). 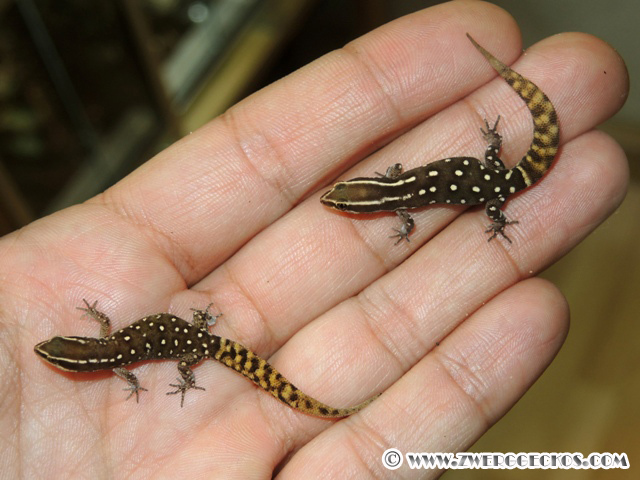 All of these small species have one thing in common, a high predation pressure due to their small body size. 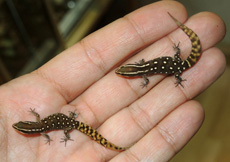 To compensate for this disadvantage various strategies have been developed. 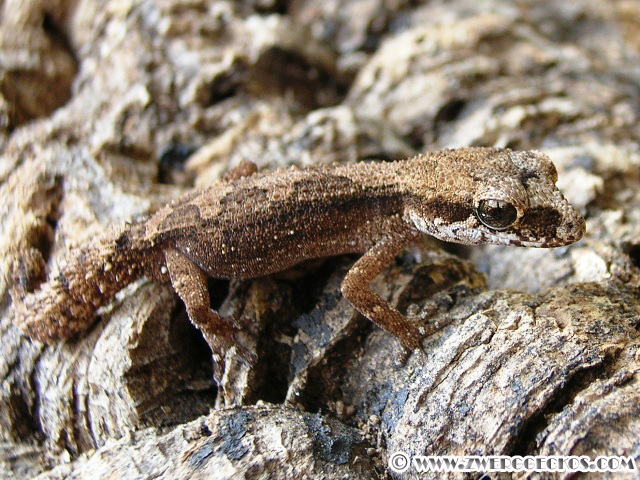 Some of them for example remain very hidden in their natural habitat (Ebenavia inunguis) while others get by via a high proliferation rate (Hemidactylus imbricatus), others reproduce parthenogenetically (populations of Hemiphyllodactylus typus typus and Lepidodactylus lugubris). 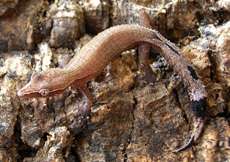 In the latter type, the adaptation and reproduction rate is so great that they are found in the tropics almost worldwide. 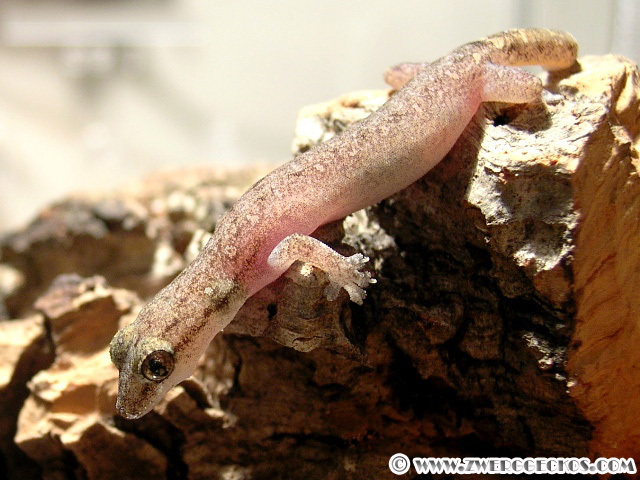 The species presented on the following pages come from many different parts of the world, are comprised of many different genera and all have one thing in common, they are very small geckos deserving much more attention in captivity!